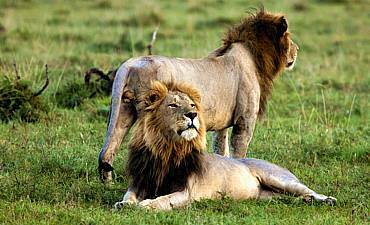 Are You Planning A Honeymoon Safari To Kenya? Scroll Down For Details.. Seeing Kenya with your beloved by your side is a dreamlike way to begin your life together. But planning an exotic getaway for two can be a massive undertaking. With the expert romancing guidance and on-the-ground inner insight of your AfricanMecca specialist, we handle every aspect of your discerning and intimate honeymoon safari in Africa. You need only tell us know your utmost wish list, and we will take care of everything! Do you and your honey want an adventure-filled holiday in Kenya on a rugged backdrop? Or do you prefer a more traditional intimate experience where you two feel like the only people in the world? 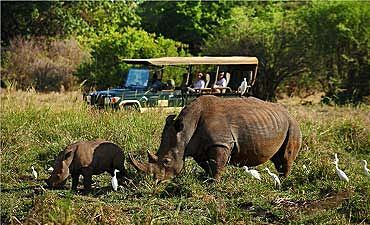 Whatever your desires for an ultra-romantic and honeymoon travel in Kenya, AfricanMecca will exceed your expectations! We are overjoyed that you are entrusting us with your honeymooning experience, and we look forward to arranging the ultimate ardor safari that complements your special day of becoming a wedded couple. Our personal insight, experience and unmatched knowledge allow us to turn your dreams into reality. 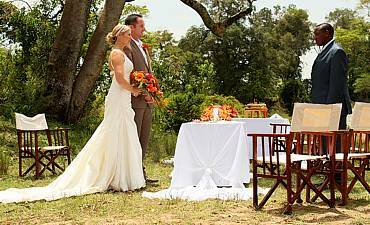 Honeymooner accommodations in Kenya are as varied as the newlywed brides and grooms that we help. Based on your desires, we may recommend an intimate private house, secluded honeymoon suite, elegant safari camp, fly camping or homely base for your wilderness adventures. We recommend smaller accommodations as these typically offer the privacy and seclusion that you seek, including couple-owned and hosted camps. 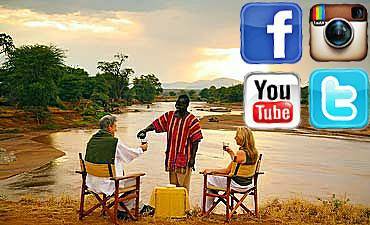 In addition to lodging size, location also enhances the romance and isolation of your celebratory vacation in Kenya. 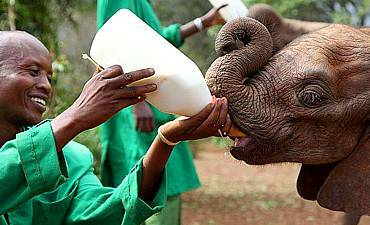 While you may want to spend all of your time snuggling, the beauty and diversity of Kenya calls to you! Just outside your door is an expansive landscape that invites you to engage in an authentic safari experience. No matter your personal preference, we will arrange outdoor activities to meet your personal needs. 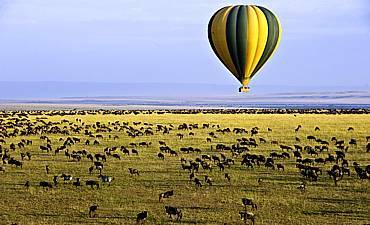 You may want to trek up Mount Kenya harmonize your go-getting affection, drift high as lovebirds above Masai Mara National Reserve in a hot air balloon ride or mountain bike across savannah plains. 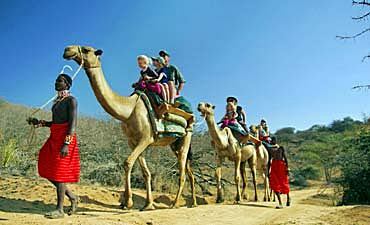 Horseback riding, bush walks, camel rides top the list – the possibilities are almost endless! Some nuptial lovers want to experience all that Kenya offers in a single trip, so AfricanMecca recommends that you combine an outback tour with a beach escape. 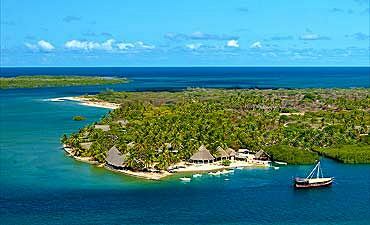 The Kenyan coastline offers picturesque beach experiences in Mombasa North and South Coast (Msambweni, Galu, Diani, Funzi, Chale), Lamu, Watamu, Malindi and Kilifi. Beach extensions are available to other Indian Ocean seashores and islands like Zanzibar, Seychelles, Maldives, Mauritius, Mozambique and more. The warm, deep azure blue of the Indian Ocean and the long stretches of quiet white sand beaches create a romantic and idyllic coastal holiday. 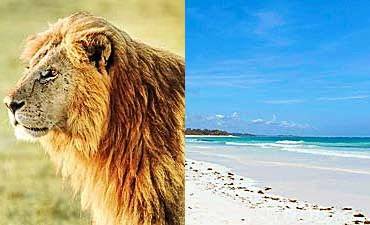 Spending time on Kenya’s seashores helps you relax and rejuvenate after your action-packed wilderness activities. Few places evoke classic safari romance more than Amboseli National Park, a premier Kenya safari destination. The wide-open savannah plains are home to one of Africa’s most magnificent creatures – elephants. The social behaviors of these animals astound even the most experienced safari-goer, and you as well will be touched by their matriarch loyalty. Best of all, you watch them roam freely against an iconic landmark – the snow-capped peaks of Mount Kilimanjaro. The scenery is only enhanced while staying at a honeymoon preferred Amboseli accommodation such as Tortilis Camp as its offers some of the best views of the mountain, elephants and grass plains. Set within acacia woodlands, Tortilis Camp is an outstanding base for wildlife viewing from your private verandah, as well as bush walks and game drives. 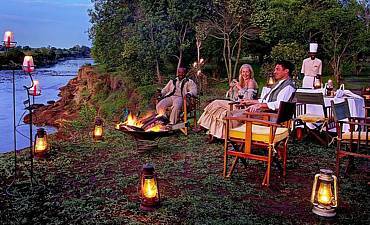 As the sun sets, your guide takes you and your loved one to a spectacular site for sundowners. 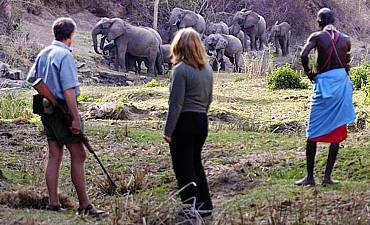 We can also arrange intimate bush meals amidst the wildlife. 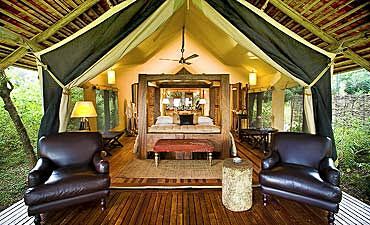 Also available in Amboseli for your honeymooning overnights are Tawi Lodge and Satao Elerai. 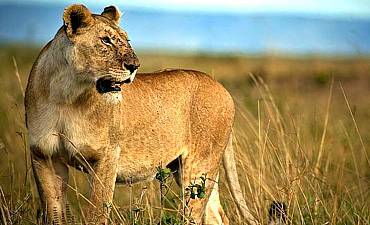 For a more exciting and thrilling honeymoon, Masai Mara National Reserve is the place to be! From July to October, over a million wildebeests and thousands of zebras follow an ancient migratory path through the reserve. 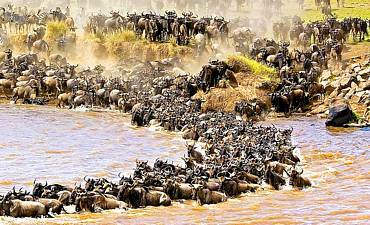 Known as the Great Migration, the exodus is one of the world’s most amazing natural events, due not only to the sheer size of the herds, but also the unsurmountable odds faced by these animals. To accentuate the almost unimaginable experience of seeing the migration up-close, we recommend the intimate Mahali Mzuri, a 12-tent accommodation situated on the edge of the action! Awaken each morning to views of vast plains that are dotted with resident and migratory species, large and small, on land and in the air. Spend your days exploring the reserve and 35,000-acre Olare Motorogi Conservancy via game drives including both day and night, bush walks and other outback Kenya tour activities. Then, when you and your sweetheart need to rest, return to your boutique tent to nap or lounge on the private viewing deck. Are you and your significant other intrigued by volcanic landscapes? If so, then AfricanMecca has just the place for your fanciful lovers’ vacation in East Africa – Chyulu Hills National Park. See the beautiful landscape of the ebony lava flows speckled with red-hot poker trees contrasting with forests covered in Spanish moss. The Maasai make their homes here, so you may see their distinctive red garments in the distance as they herd their cattle. You can even visit one of their villages to meet some of them personally. 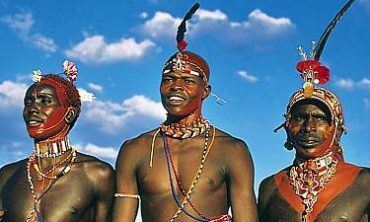 In fact, you may find yourself celebrating with the community during a traditional Maasai wedding. 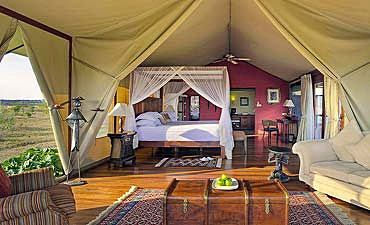 Set within 275,000 acres of prime wilderness, Ol Donyo Lodge offers an authentic experience of the wildness of Africa! In the far distance, Mount Kilimanjaro also dominates the horizon from here. 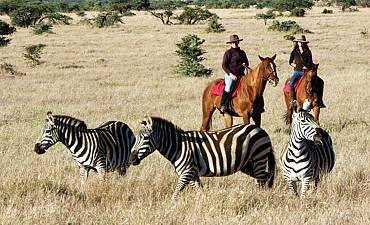 Explore the area via game drives, horseback riding, guided walks, fly camping and mountain biking. For a special treat, the camp has a waterhole hide where you observe giraffes, elephants, warthogs and other wildlife. Each of the ten guest suites offers privacy so that you and your lover can spend your time being lost in love. To ignite those sparks of romance, we recommend that you spend the night in your rooftop “star bed” to gaze out into the dark African skies and identify the stars together. 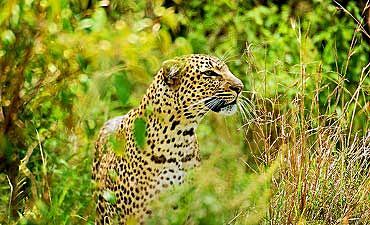 Located in northern Kenya, the private conservancies in Laikipia cover 9,500 square kilometers of mountain ranges, forests, shrubland and open savannah plains, all home to the second highest density of wildlife in Kenya. Few of the species in this distinct wilderness are endangered, including black and white rhinos, Grevy’s zebras and reticulated giraffes, to name the primary susceptible fauna that you may see during your wilderness trip to Africa. Having the rare opportunity to see these animals up-close is symbolic of how precious and unique your love is for each other. 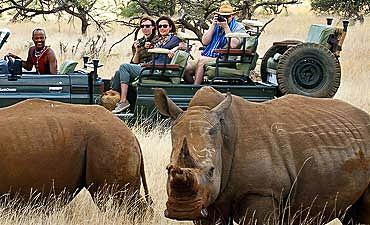 The special experience that you share is enhanced by the comforting, inviting and homely atmosphere at Lewa Wilderness. The lodge offers nine charming, premier cottages with rustic, country-style furnishings. Your bed faces large windows that overlook the Marania Valley, and a private verandah is an intimate place for your quiet evening chats and morning coffee or tea. The peace and solitude are exactly what any new couple needs to relish every moment of a new life together. 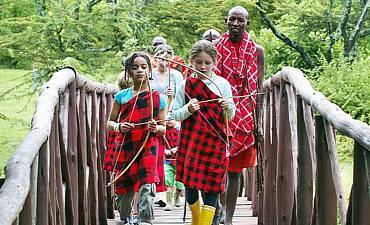 Are you and your special someone both history buffs who want to experience Kenya through the eyes of early settlers? Then Loldia House is the place for you! See amidst the Great Rift Valley lakes region, the house offers yesteryear ambience and elegance of country living with all of the modern amenities you need. The property is on an adjacent working ranch where wildlife wanders through the property daily. The views are simply breathtaking, including Lake Naivasha and the distant Mount Longonot, a dormant volcano. AfricanMecca recommends the lakeside cottage for honeymooners. Just outside your door are the lakes of the Great Rift Valley enticing you to take time away from the cozy ambience of your cottage. 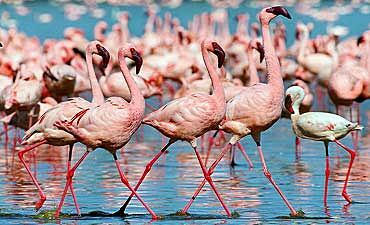 Day trips can be arranged to Lake Nakuru, Hells Gate National Park, Crescent Island, Crater Lake and much, much more! A blend of exciting exploration and quiet solitude may sound like a heavenly honeymoon holiday in Africa, and we know just the place! Saruni Samburu is situated near some of Kenya’s superlative safari conservation areas, including Samburu National Reserve, Buffalo Springs National Reserve and Kalama Conservancy. 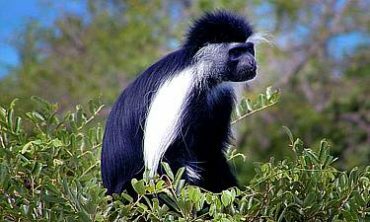 The area is rich in wildlife, and you explore almost endless terrain and species during day and night game drives, birding tours, guided nature walks, highlands trekking, optional bi-plane and helicopter tours and much more! Return to the camp for a lovely spa treatment or test your warrior skills for tracking and bush survival. Each of the six villas is perched upon a rocky outcrop, so you feel somewhat suspended over the valley. One of the villas, though, has an especially romantic character. The bed is situated only a matter of feet from the rocks, so the views are front-and-center. The outdoor verandah is designed to give you a variety of small, intimate areas lit by the warm glow of lanterns in the evening. The setting is perfect for toasting to your future with champagne, curling up with each other and listening as your sweetheart speaks softly of the immense love you share.